Buddy Gamel would have claimed the prize for most unusual entrance to the Odyssey Day event last week on the Bessemer campus of Lawson State Community College. 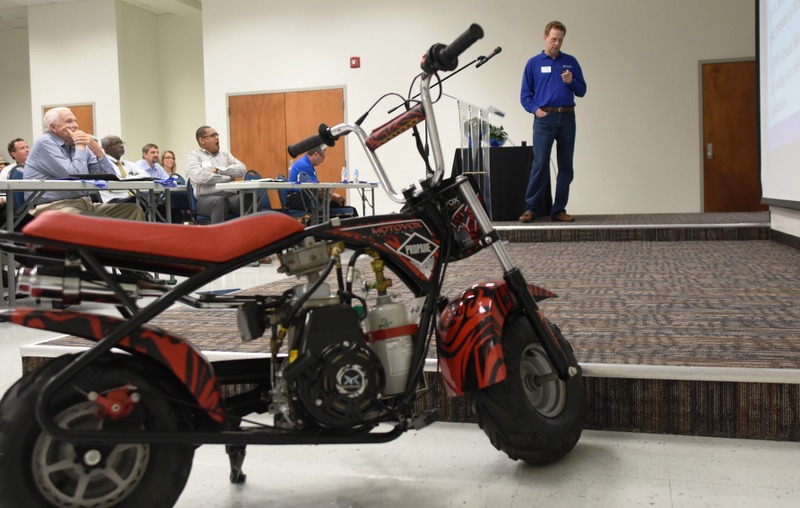 The president of Precision Sales & Service, which specializes in alternative fuel conversions, puttered into the auditorium of the Ethel Hall Center for Automotive Excellence on a red propane-powered scooter. 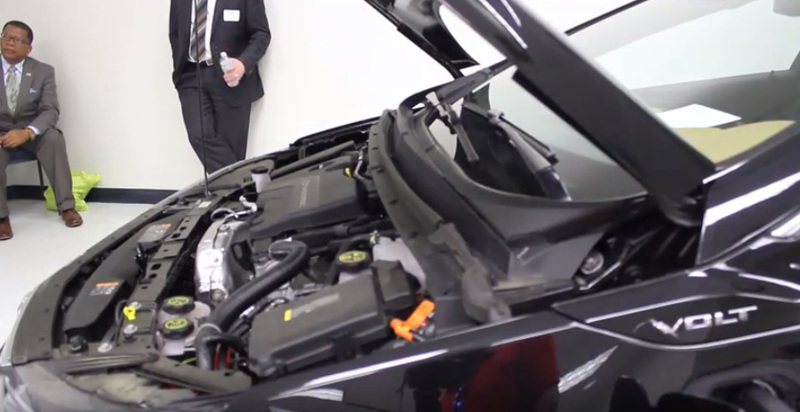 About 60 people had a lot to remember as they were shown the latest advancements in alternative fuels and vehicles. The Alabama Clean Fuels Coalition joined Lawson State in sponsoring National Odyssey Day. 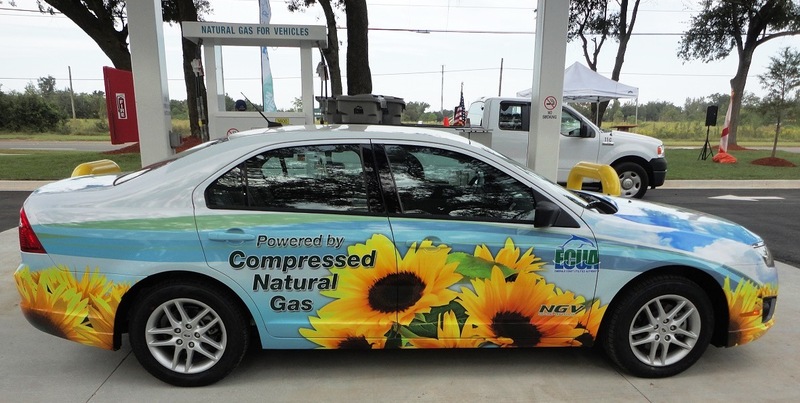 The event included educational presentations on domestically produced alternative fuels, including compressed natural gas, propane autogas and electric alternative fuels. Gamel said propane has been one of the most-used alternative fuels, although it has largely been behind the scenes. Jim Roberts is the public information officer with the Emerald Coast Utilities Authority in Pensacola, Florida. He cited an unusual complaint the company receives about its CNG-fueled garbage trucks. 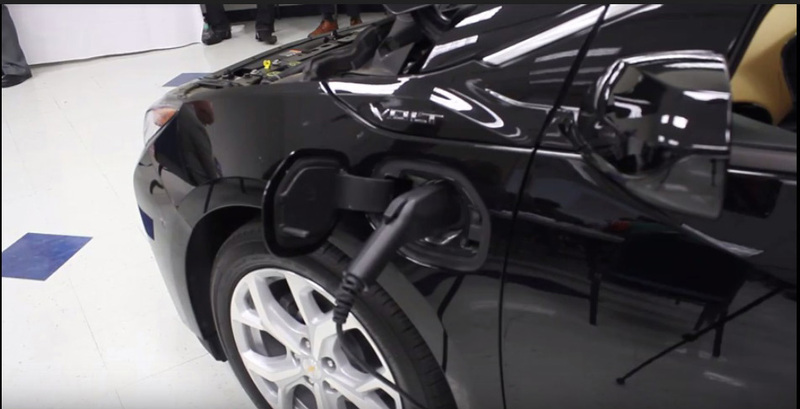 Cedric Daniels of Alabama Power said people are always eager to hear him talk about electric-powered cars. And, he added, there are many makes and models. Lawson State President Perry Ward said alternative fuels affect everyone. Odyssey Day featured a discussion on the $25.5 million from the Volkswagen settlement that will be available to be spent in Alabama. The money is targeted to reduce diesel emissions and improve air quality in the state, via grants that will – for example – replace aging diesel engines with ones that use alternative fuel sources, such as compressed natural gas, propane or electric. The $2.9 billion Volkswagen settlement was negotiated with the federal government following the company’s attempts to cheat on emissions testing. The Alabama Department of Environmental Management will administer the state’s share. Visit http://www.alabamacleanfuels.org/ for more information.